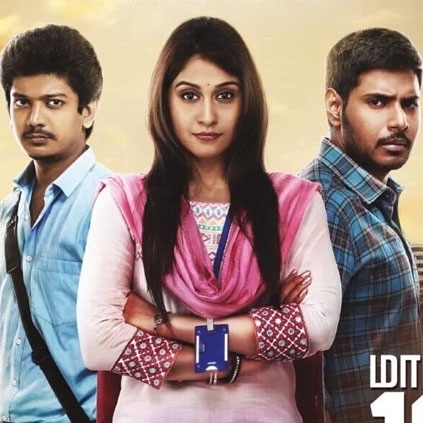 Maanagaram is an upcoming action thriller directed by debutant Lokesh Kanagaraj. The film stars Sundeep Kishan, Sri and Regina Cassandra in the lead roles. Coming from a banner like Potential Studios, one expects it to be unique and refreshing on its own merits. Editor Praveen KL who happened to watch a special screening of the film has shared his thoughts about it. Shocking: Vijay 62 will not be directed by AR Murugadoss? Red Hot: Look who is in talks to play Suriya’s lady love in Selvaraghavan’s film? G.V.Prakash's Bruce Lee's new release date is here! Exclusive : A lavish sequence worth 2 crores for Siddharth! People looking for online information on Maanagaram, Regina Cassandra, Sri, Sundeep Kishan will find this news story useful.